Gather all materials together and read the instructions below. 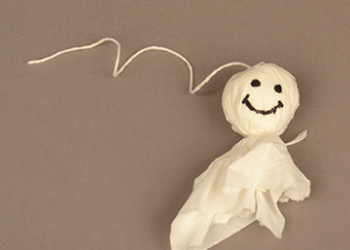 Make a Teru Teru Bozu of your own to show your students as an example. Ask your students how they would feel if almost every day was a rainy day for more than an entire month. This is what the rainy season in Japan is like. Has anyone heard of Japan before? 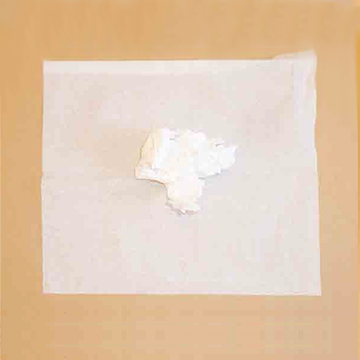 Where is it on Earth? Show the map, globe or digital version of the Earth to your students, and ask them to help you locate Japan. Share the distance, time difference, etc. between Japan and where you live. The rainy season in Japan, called tsuyu (pronounced tsu-you), occurs when cold air from Siberia north of Japan, and warm air from the South Pacific south of Japan, collide and stay for a while. This usually happens between June and early July. Ask your students what they think it would be like to go a whole month where it rains almost every day. Do you think that you would wish for sunny days to come back? 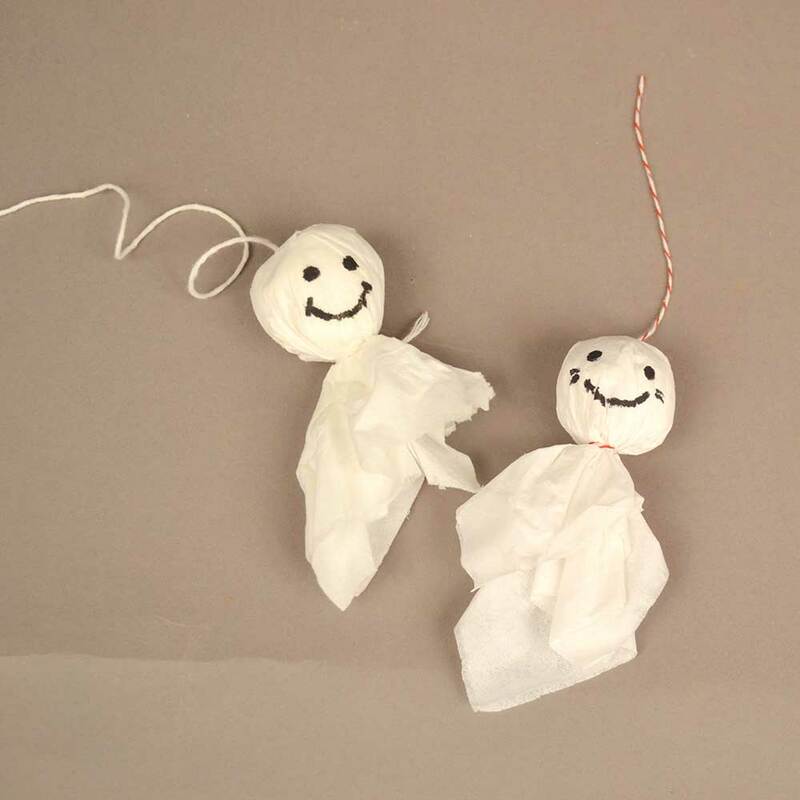 To try and stop the rain and bring out the sun, children in Japan traditionally make fine weather dolls called Teru Teru Bozu (pronounced tay-roo tay-roo boh-zoo). Teru means “shine” and bozu means “little boy”. These little dolls are considered good luck charms, and are hung on the eaves of roofs just outside windows to try and bring back sunny days. 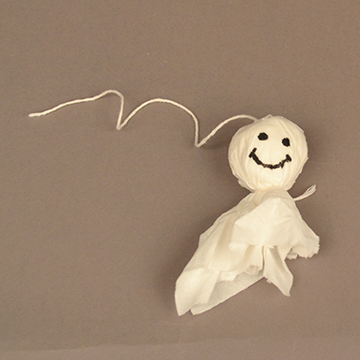 Ask your students if they would like to try and make their own Teru Teru Bozu. 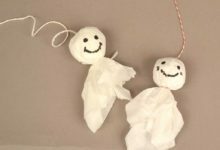 Make your own Teru Teru Bozu! 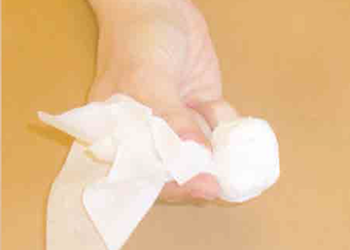 Crumble tissue paper or other stuffing material into a ball. 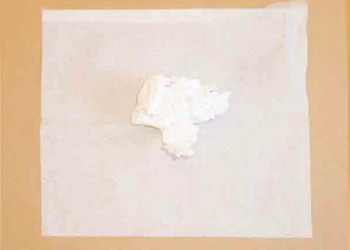 Wrap a few sheets of white cloth or tissue paper around the small ball you made in step 1, and make a neck by tightening around the ball (similar to a Halloween ghost). Tie that tightened spot at the neck area with a piece of string. Personalize your Teru Teru Bozu with markers by drawing a face on the head, and making any other colorful markings you would like all over the body. 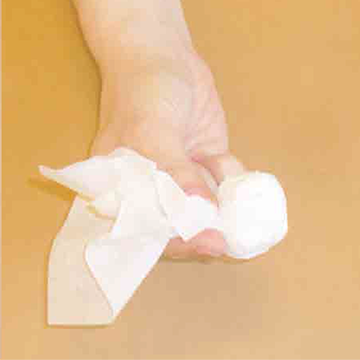 NOTE – if you are using tissue paper, be careful with the markers – ink tends to bleed more readily on tissue paper than on fabric. 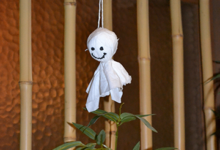 Tell students that the folks tale in Japan is that if Teru Teru Bozu are hung upside down, it will bring more rainy (or snowy) days, and if they are hung sideways, it will bring cloudy days. 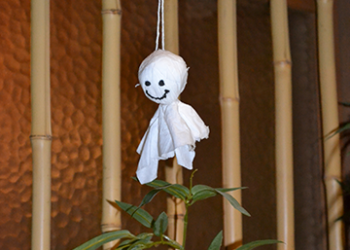 Hanging the Teru Teru Bozu with the head pointing up signifies your wish for sunny days to come back. 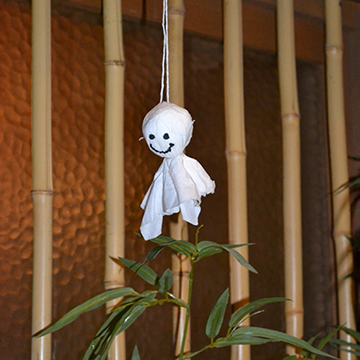 Choose together a place to hang the dolls (ideally near the window where Teru Teru Bozu can see the sky). After the Teru Teru Bozu are up, ask your students if they know of different parts of the world that experience a lot of rain or snow as well. Show them Figure 3, the precipitation map in Resources above, and ask if they notice anything similar about the places where it rains or snows a lot and the places where it rains or snows very little. 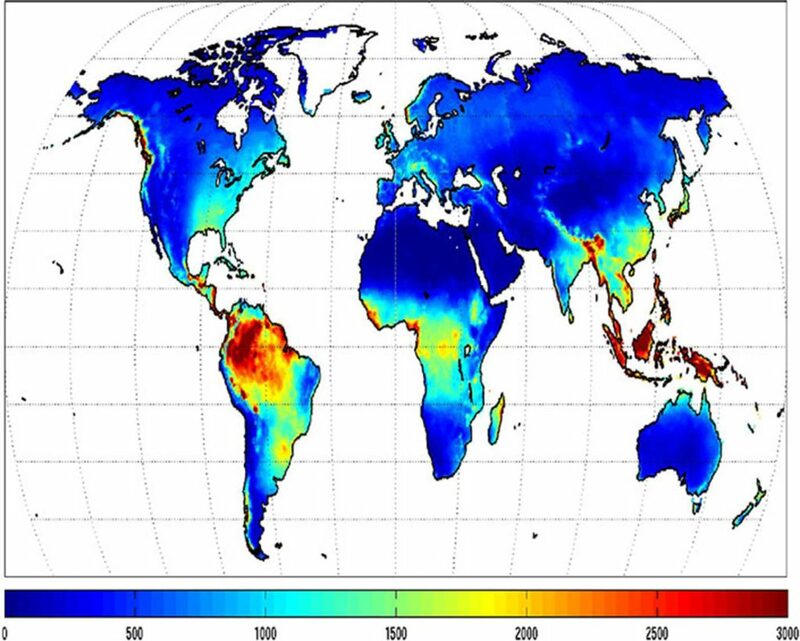 This map is from NASA and GISS, and shows the average annual precipitation (rain and snow) in millimeters across the world from 1980-2010. 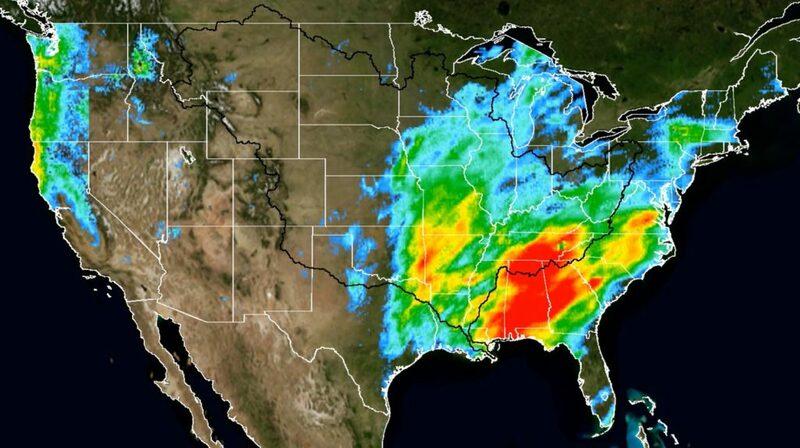 You should notice areas that receive very little precipitation (the darkest blue areas), and areas that receive a lot of precipitation (the red, orange, and yellow areas). Then, show your students the maps in Figures 4 and 5 in Resources above. Figure 4 shows precipitation amounts in the US during the month of December 2015 (from http://www.nasa.gov/sites/default/files/thumbnails/image/screen_shot_2016-01-14_at_3.12.36_pm.png), and Figure 5 shows a single week’s precipitation in South America the last week of February 2016 (from http://www.nasa.gov/sites/default/files/thumbnails/image/peru_imerg_23-29_february_2016.jpg). 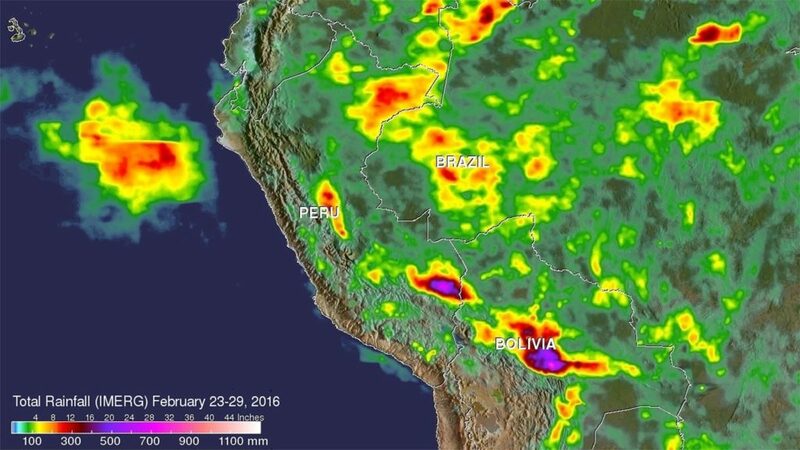 Ask them if they can find places on the South America map where there were 20 inches or more in a week. 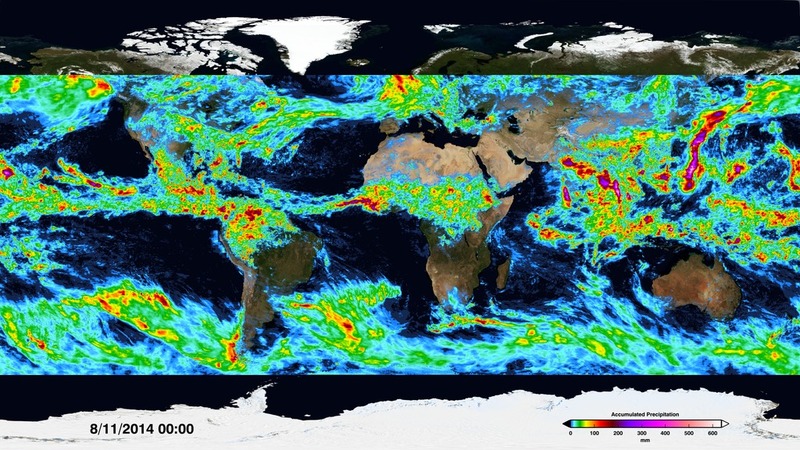 These maps were created by a satellite launched by Japan and NASA together, called the Global Precipitation Measurement mission. Visit http://pmm.nasa.gov/ and http://pmm.nasa.gov/education/ for more information. 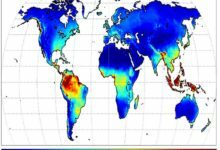 So why does it rain a lot in some places, but not at all in others? Rain is essentially moisture falling from the air. 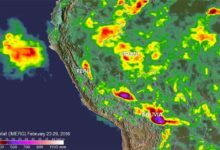 So areas near the ocean, or other large bodies of water, are more likely to get rain because air can pick up some of that moisture as it moves around. You may also notice, on the map of South America (if you look closely), that there are mountains near the coast – areas like this, where the air moves across a large body of water and up a mountain, are also likely to get a lot of rain. But interestingly, on the OTHER side of the mountain, you are likely to get little rain, because all of that rain falls as the air moves up the water-facing side of the mountain. There are other factors that cause precipitation, or a lack of it. 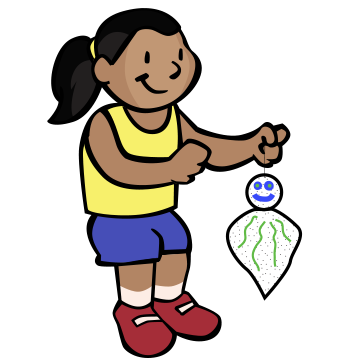 Encourage your students to do some research and share it with the rest of the class, so you can all learn about where our weather comes from…it is probably not from dolls or rhymes, though both of those are fun ways for us to express our weather wishes! 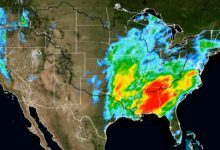 Visit http://pmm.nasa.gov/waterfalls/education for more activities on rainfall, including instructions for students to make and use a rain gauge to measure precipitation.